Stephanie L. Brick Drey | Attorneys | Brick Gentry, P.C. Stephanie Brick Drey is a shareholder with Brick Gentry P.C. having joined the firm as an associate in 1992. 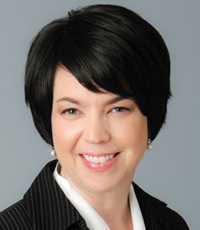 She has built a general estate planning and a probate and trust administration practice. Stephanie assists individuals with their estate planning needs ranging from simple wills to complex trusts. Much of her practice is devoted to working with current or potential high net worth individuals and families. Her work with sophisticated estate planning matters includes minimizing taxes, reducing future administration, issues related to blended and non-traditional families, special needs planning, and charitable planning. Stephanie utilizes many estate planning techniques including, but not limited to, testamentary trusts, revocable trusts, special needs trusts, irrevocable insurance trusts, qualified domestic trusts and charitable trusts. Stephanie also frequently represents Executors/ Personal Representatives, Trustees and other fiduciaries in the areas of trust, estate and probate administration. Selected for inclusion in The Best Lawyers in America® as among the elite in Trusts and Estates, 2015. U.S. News and World Report's 2013 and 2014 editions of Best Law Firms ranked Stephanie L. Brick Drey as a Best Lawyer in the practice area of Trusts and Estates Law.